Richardson’s Pamela ……. a touchstone for me as a lifelong romance reader named Pamela. The story of virtuous maidservant Pamela and ruthless aristocrat Mr. B — sounds like the back cover of an Avon Treasure but in terms of its contemporary reception it was even more widely appreciated — think Downton Abbey, or Fifty Shades of Grey. Provocative, scandalous, of debatable literary or artistic quality, both product and promulgator of the zeitgeist. Everyone in the literate English-speaking world was talking about it. 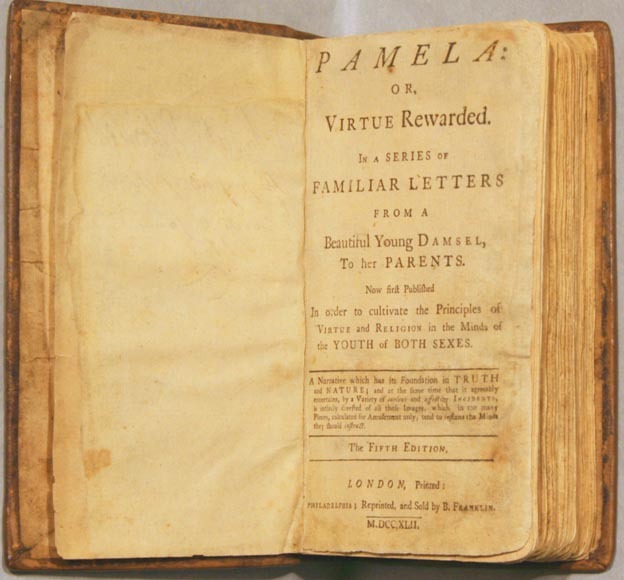 Pamela Regis on Pamela as Precedent, and the history of the American romance novel (I am a fan of this Pamela too!) The Natural History of the Romance Novel was a game-changer for me in terms of how I thought about my reading habits. Read it! I read this upon learning European history in high school, and was quite surprised that this story was published in the 18th century. It is undoubtedly the oldest romance novel I’ve read.